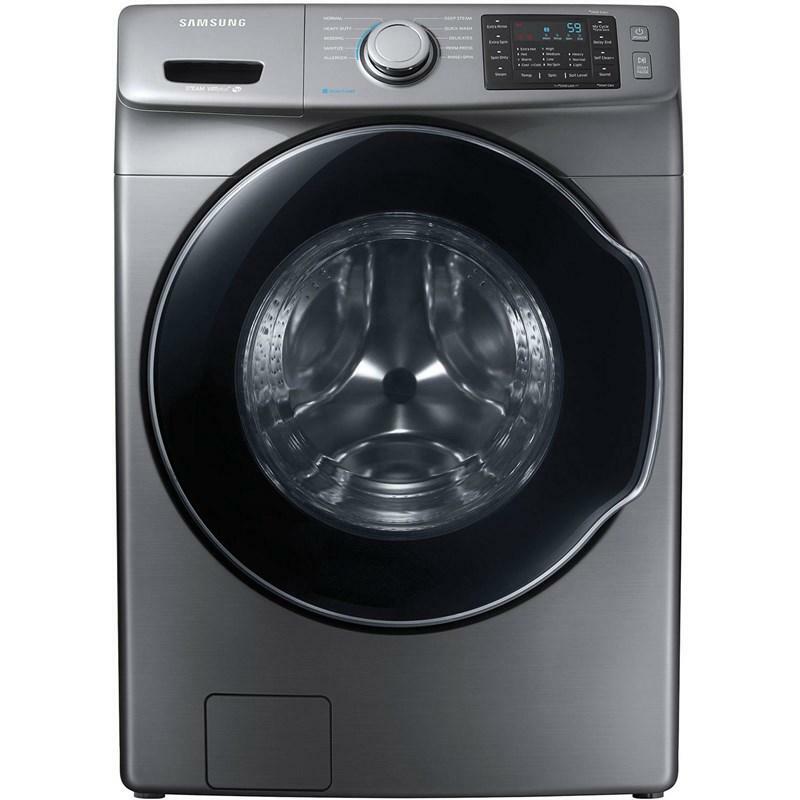 This Samsung front-load washer features VRT Plus™ technology, 5 temperature settings, 3 soil settings, 10 preset wash cycles and 10 options. 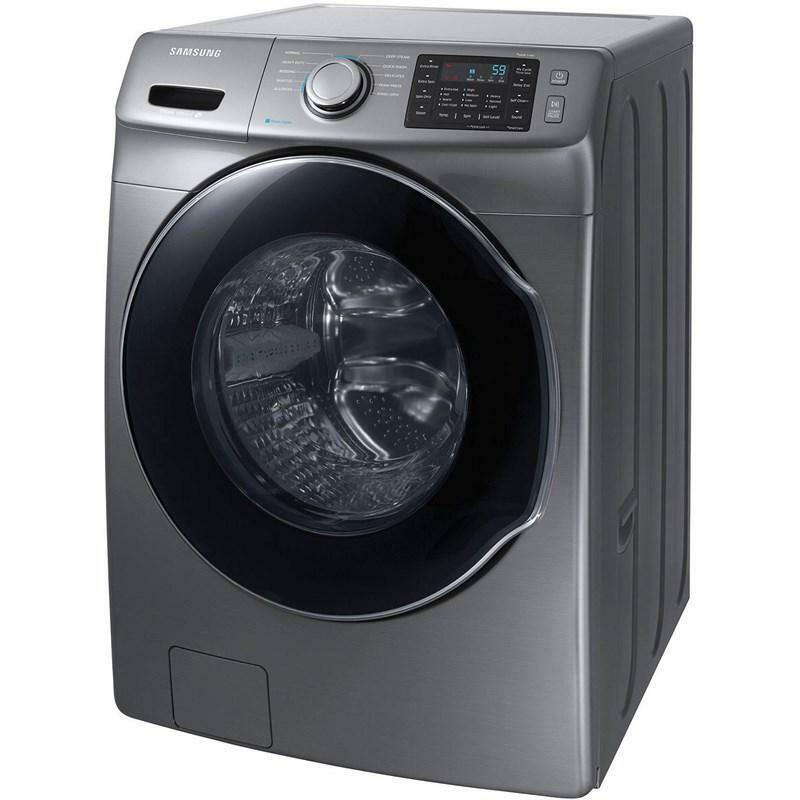 Keeps your laundry drum fresh and odor-free without the use of harsh chemicals - through a combination of soaking, pulsating and high speed spinning. Self Clean also sends reminders to clean the drum every forty wash cycles. For the ultimate in convenience, SelfClean+ technology keeps the drum, and also the gasket, hygienically clean. It removes the odor-causing bacteria that can form inside the machine, including the door gasket, without using harsh chemicals, so it saves money. And it can even notify you automatically when it needs cleaning after every 40 cycles. You shouldn’t have to damage your favorite fabrics in order to get them perfectly clean. 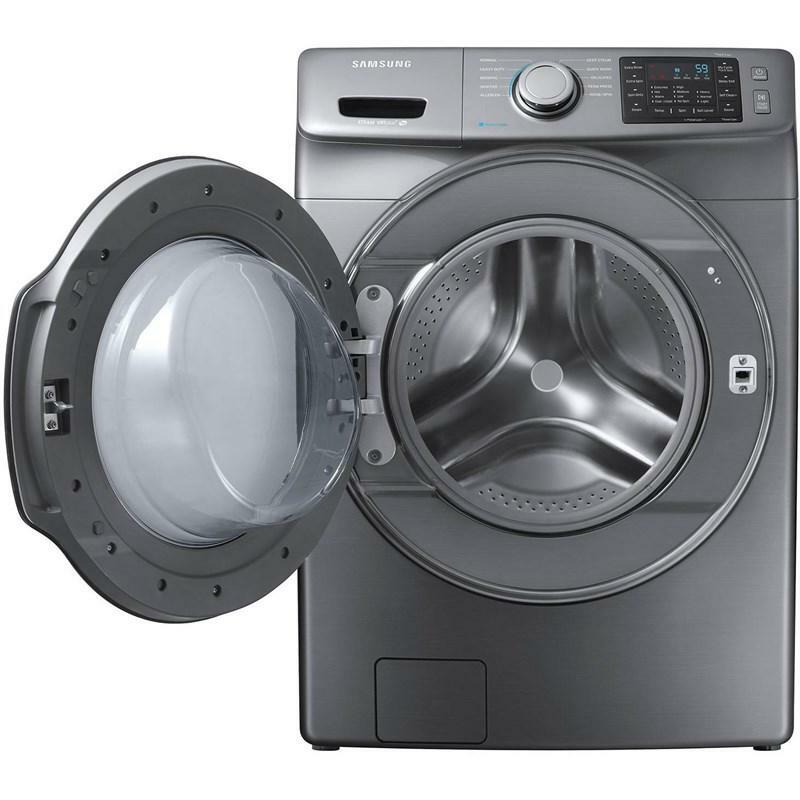 That’s why Samsung features unique Diamond Drum™ technology, which replaces the typical washing drum with one covered in deep, diamond-shaped depressions. This revolutionary texture keeps your fabrics safe from snags, while creating the perfect environment for gentle but effective washing. 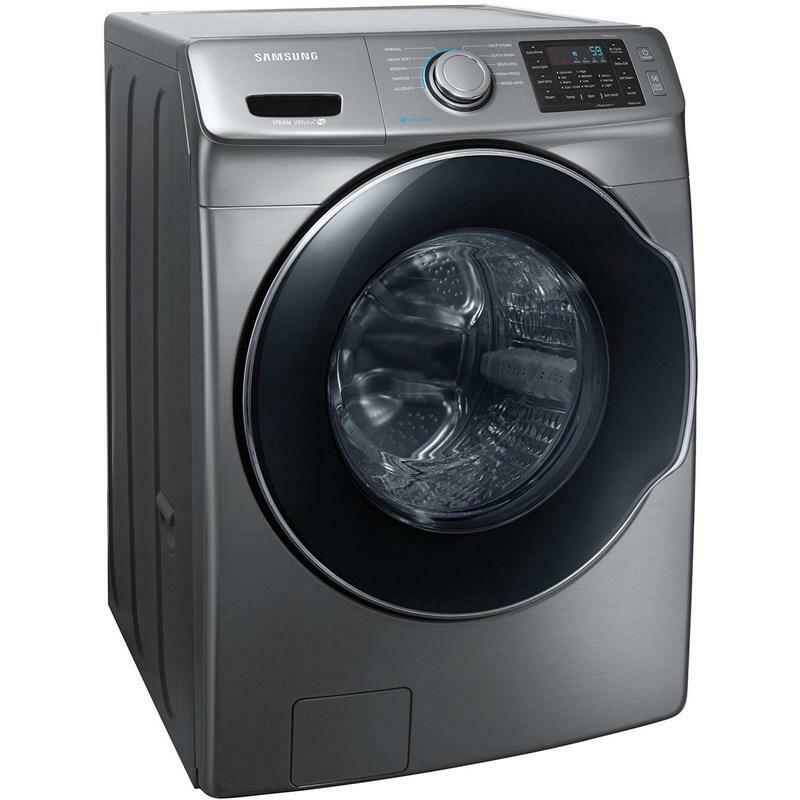 Keep your clothes in top condition by trusting them to the Samsung exclusive Diamond Drum™. 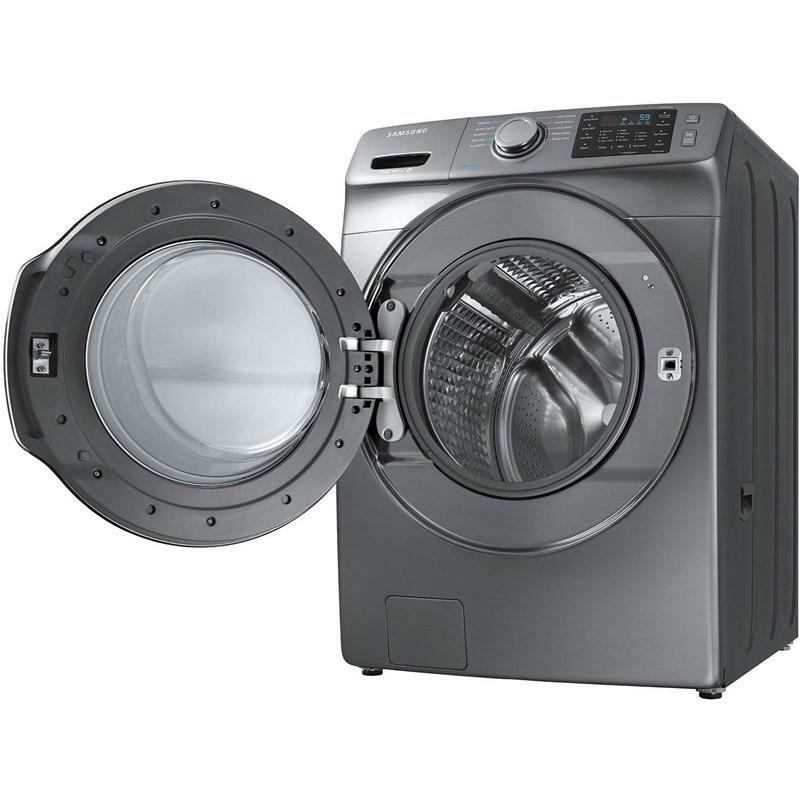 An internal water heater ensures the right temperature to sanitize clothes and leave them virtually bacteria free. 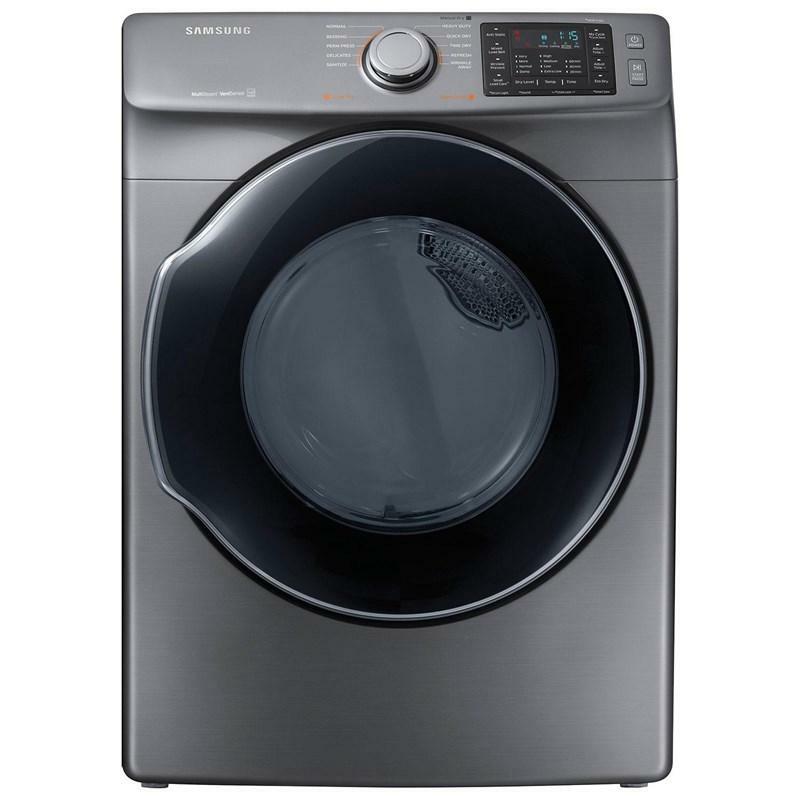 In addition, the internal water heater activates sanitize cycle for NSF-certified 99.9 percent bacteria-free laundry. This ensures the right water temperature for optimal cleaning performance. 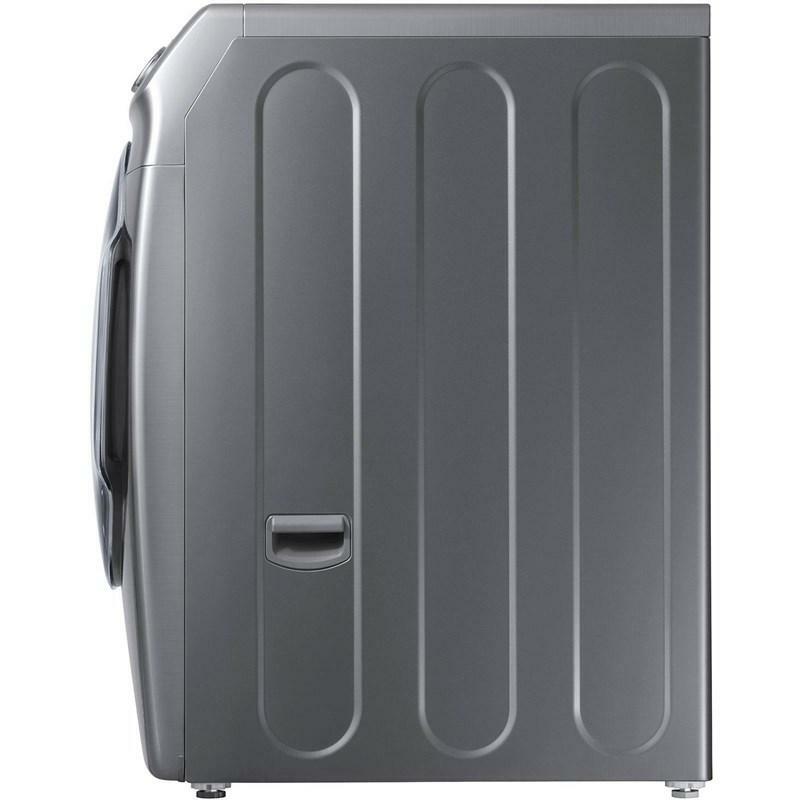 Capacity: 7.5 cu. ft. / 0.21 cu. m.